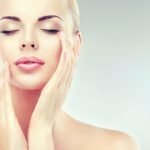 Skin Fasting: Is it time to give your skin a break? Uncontrollable breakouts, changes in your skins behaviour, wanting to try new products? Perhaps it’s time you considered skin fasting. Skin fasting, which entails taking a break from cosmetics and skincare for 3 weeks, isn’t a new concept; Dr Terry, an integrative skin doctor talks to us about this rejuvenating concept. Under what circumstances should we consider a product and makeup detox? Skin fasting gives the skin a chance to reset and encourage it’s own healing and hydrating ability. When we use cosmetics/make up constantly, the skin becomes lazy and loses this natural ability. We should be encouraging our skin to work by itself from time to time. 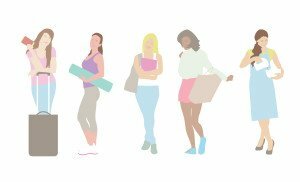 What does detoxing entail- does it really mean stopping ALL products? How long do we do it for? For the best results, I’d recommend following the routine I’ve outlined below. It’s reducing your product use down to three key products and a cleanser: an anti-oxidant serum, an SPF sunscreen and an anti-aging serum. This should be followed for 3 weeks. 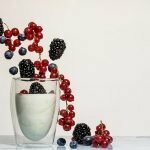 How can we get the most benefit out of fasting? How is it best to reintroduce products after a detox? After 3 weeks, restart one new product at a time. Use it for 3 days before adding another product into the mix. 3 days is a good enough time to see if your skin reacts to it. The important thing about skincare is to really understand your skin and how it responds to products, food, environment, stress etc. The better you know your skin, the better decisions you will make for it.